At some point in your studies full, timed practice tests will become part of the routine. 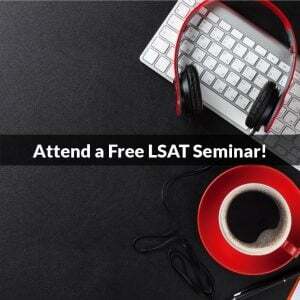 As such, it’s critical that you understand exactly how to self-administer a sample LSAT. Here I’m going to outline exactly how to craft the perfect practice test experience! What follows is a list of considerations related to practice test-taking. I’ve also included links to resources for each of these points in case you need more information. Like any serious discussion of the LSAT, the most appropriate way to begin is by talking about mentality. We’ve talked at length about the proper mindset in previous blog posts (both for Positive Thinking, and, interestingly, Negative Thinking). I’ll try to spare you too much redundancy, but suffice it to say that if you’re planning to take a practice test under any sort of adverse mental conditions, you should probably reconsider. Whether it be you’re tired from a long day or lack the motivation to take an entire exam. Regardless, if you cannot commit your full mental and physical resources to the task, you’re going to under-perform. Unfortunately this likely to result in bad habits and undermine some self-confidence in the process. Consider your mental state before you take a practice test and make sure to have the right attitude before beginning. There are a number of materials available that use “simulated” questions, which are created by test prep companies to mimic actual test content without paying licensing costs. While the quality of these certainly varies, as a general rule they’re a poor substitute for the real thing: questions designed by the test makers and actually administered on previous LSATs. The good news is that official questions are easily obtained, and not terribly expensive. Our LSAT publications page has full PrepTests available for purchase, as well as Question Collections (questions/passages/games taken from multiple tests and grouped by type), so access to real test content is never more than a few clicks away! Granted, some people will want to take dozens of practice tests, and will therefore have to dip into some older content, but the newer the test, typically the better the predictor it is of what you are likely to encounter on test day. That is not to say that tests from the 90s aren’t worthwhile (they are immensely valuable for certain purposes), but be sure to save at least a few of the most recently-administered LSATs to take as your final practice tests. Again, a full sampling of LSATs can be found here. The LSAT consists of five 35-minute sections, four of which are scored, and one of which is experimental. So I always encourage people to add a fifth section to their timed practice tests, as you are guaranteed to encounter that on the actual LSAT. Anyone who has taken this exam will attest to the fact that it is in part a test of mental endurance, so to build that endurance prior to test day you have to train yourself with a task that mirrors the real thing. Simply pull a section from an older LSAT and add it to an entire four-section test, and then treat all five sections as though they count. Side note #1: It can be hard to convince yourself to treat a section as real when you know that it’s not, so perhaps the most ideal situation would be to have a friend/colleague print out, or tear from a book, a complete test and an additional section, and then shuffle the sections together without informing you which is experimental. Covering up or cutting off section and page numbers will also help to disguise the un-scored section. Side note #2: If you are unable to add an experimental section for whatever reason, then take all four sections of your practice test without a break. This is the best approximation of the LSAT if the experimental is removed. You can learn more about the LSAT experimental section here and here! As I noted above, you need to acclimate yourself to actual test day conditions. As such, you will need to take your practice test under the time constraints you’ll face when it counts. You can use our LSAT Virtual Proctor to do this, or you can do it your own way. All you need is a programmable timer/alarm on a watch, handheld timer, or phone. Give yourself a strict 35 minutes for each section. Only take a break between sections 3 and 4 of your 5-section LSAT (or no break for a 4-section test). It’s a sad truth that the LSAT would be a much more appealing experience if it could be taken from the comfort of your home or office. “Truth” because people tend to perform better in an environment with which they are familiar. “Sad” because as much as you prefer your kitchen table, LSATs are administered in a public room full of strangers. 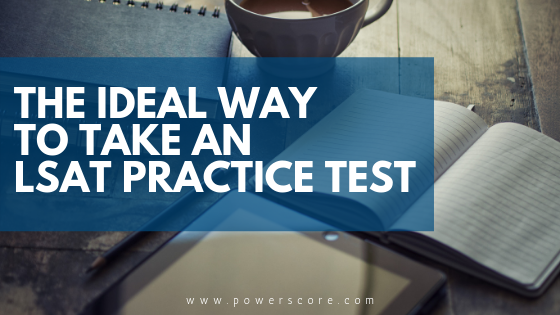 Try to take at least one or two practice tests in a similar public setting to simulate test day. The stark difference can be unnerving, not to mention distracting, so acclimating yourself can help. The library at your school (or a public library), the back corner of a coffee shop…anywhere that’s fairly quiet and allows you to sit for several hours uninterrupted, but that will still have people moving around and making a bit of noise. Not every practice test needs to be taken in this type of environment, but I strongly recommend you attempt a few in a public place. To familiarize yourself with exactly what to expect on test day, review this information. I don’t mean “early” as in begin preparing well in advance… although that is absolutely recommended! Instead I mean plan to take practice tests leading up to the LSAT at the same time of day the actual test is administered, which likely means early in the morning. Read up on our “Not a Morning Person?” post for an in-depth guide of how to tackle this. Each of the recommendations is based on the principle of accurately mimicking the day of the test. Test content, pacing, and environment are important focal points of your studying method, and this one should be no different. Typically, the LSATs administered on Saturdays have been 8:20am exams. This is an odd time for most people to be performing the mental gymnastics needed to score well. So get your body and mind as comfortable as possible! Take your practice tests at a time when your actual LSAT is scheduled. 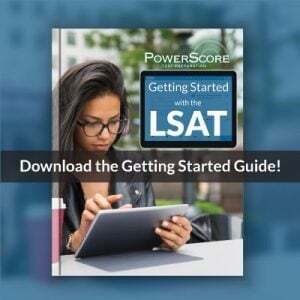 Not sure when your LSAT begins? A list of test dates and administration times is available here. Admittedly this isn’t so much about the test taking itself, but the final piece of maximizing the value of your practice test experience. Any practice test is incomplete without it. You need to perform a thorough post-test review, analyze your performance, and determine the most appropriate study plan moving forward. Without this type of comprehensive self-analysis there is no way to determine why you scored as you did. As a result, your potential for improvement is severely restricted. Put more succinctly, you must identify and understand your mistakes if you expect to have any chance of correcting them. PowerScore has created an incredible and totally free Self Study Site for all test takers. It features several comprehensive study plans based on your predicted preparation timeline. You also have access to our powerful Test Scoring and Feedback system. With this, you’re able to enter in answers and receive a detailed score and performance analysis in return. Take advantage of these resources as you review your practice tests! So there you have it, the pieces I believe comprise the ideal practice test experience. That said, there is one final point I’d like to make. “Ideal” is a far cry from “worthwhile.” Even if you find that you cannot satisfy every one of these points, there can still be a tremendous amount of value in taking timed LSATs. A 4-section test, a test from 1994, or a test taken in the evening at home are all better than no test at all, provided you do your best to meet as many of the recommendations above as possible. About how many practice tests should I have in my goal range before I should be confident that I can perform that way on actual test day? Hi Paula – thanks for the question, it’s a good one! There’s no perfect number of tests that you should plan to take—it can vary greatly from student to student—so instead of me attempting to specify that, instead let me give you a couple of good indicators that you’re likely to duplicate your practice test performance on test day. First, you want the tests you’re using as predictors (both in terms of score and general consistency) to be official LSATs that are fairly recent—within the past 4 years or so, typically—and taken under strict, test-day conditions. So an untimed exam, or a four-section exam, or an exam taken in the comfort of your home can all be useful study tools, but they don’t do a great job of replicating what the real thing is like. Hence, they aren’t as reliable predictively as a timed, five-section test taken in a library, say. I realize it might not be feasible to take *every* practice test under real-test conditions, but you want to take as many as possible that way if you can, especially in the 2-3 weeks leading up to test day! Second, in the few weeks leading up to test day, be mindful of your overall scoring range. Individual exam results are helpful to know, of course, but one test—good or bad—isn’t nearly as representative of who you truly are as several tests will be. 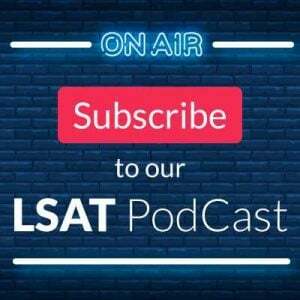 So you may not hit the exact same number on test day as you attained on your most recent, pre-test LSAT, but chances are good you’ll be within the range of the last 3-4 tests you’ve taken (presuming they’re all fairly recent relative to the real LSAT). Finally, your state of mind plays an undeniable role in all of this. That is, some people tend to thrive under the pressures of test day, while others crumble. So be aware of your mentality as you take practice tests and relate that to how you’re feeling when you sit for the actual LSAT—if the two are similar those practice tests should be fairly accurate predictors; if you’re far more focused, or far more nervous/anxious, you may find your actual score goes up or down a bit, respectively.